Market Manila - Kalderetang Kanding/Kambing a la Marketman (Goat Stew) - Beef/Lamb, etc. 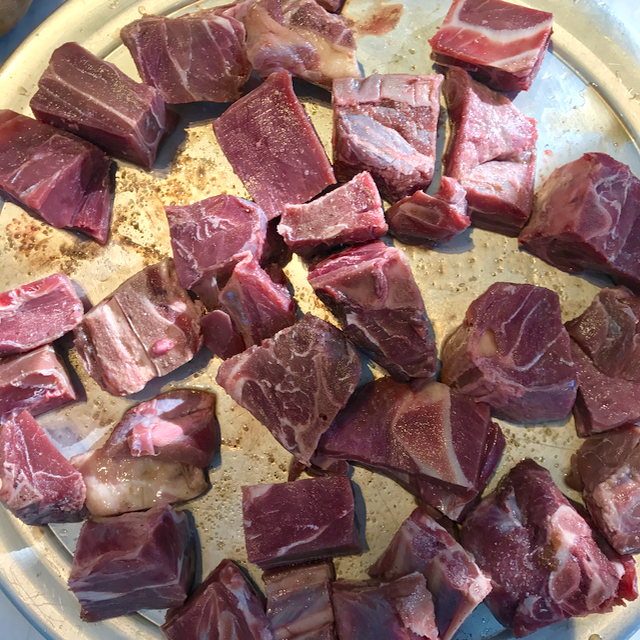 Start with good cubed goat meat. Sprinkle with red wine vinegar, salt and pepper and let this sit for 20 minutes or so. 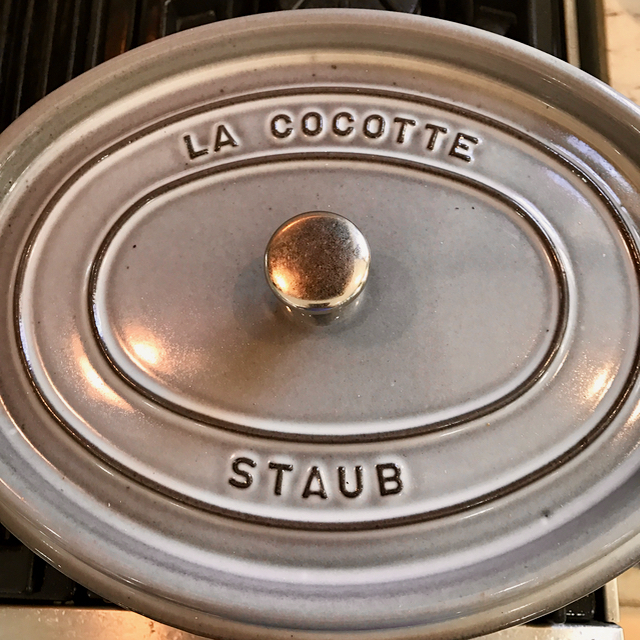 Heat up an enameled cast iron skillet and add olive oil. Brown the goat cubes well in the hot fat. Remove and set aside. 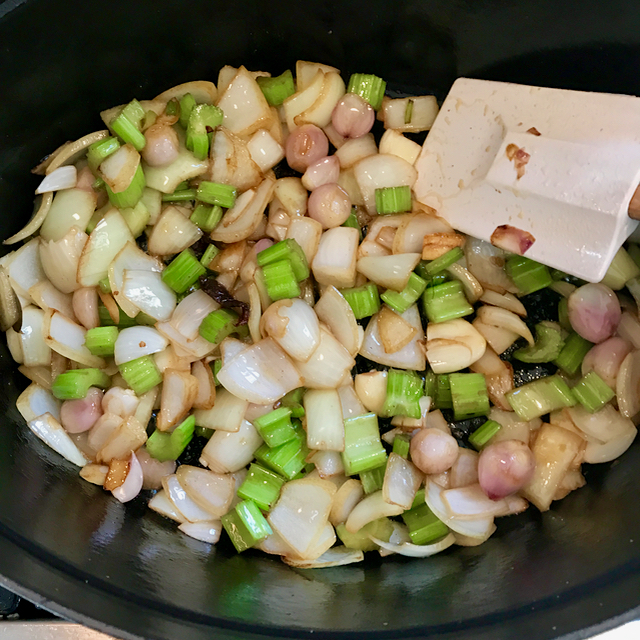 Using all the remaining fat (both olive oil and goat fat), saute lots of onions, shallots, celery and garlic on medium-high heat until they are fragrant and a bit translucent. The smell in your kitchen right about now should be wonderful. Add a tablespoon of good tomato paste and “cook” this a bit for say 30-60 seconds. 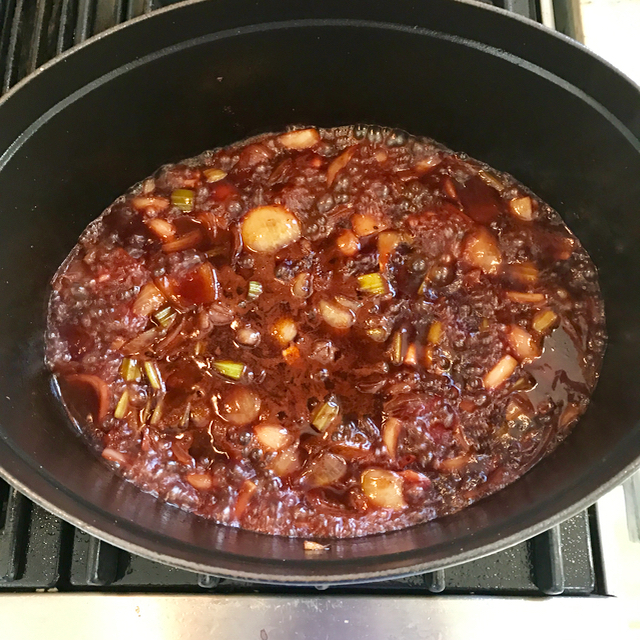 Then add 3/4 to 1 bottle of good red wine and let this simmer for a few minutes to burn off all the alcohol. 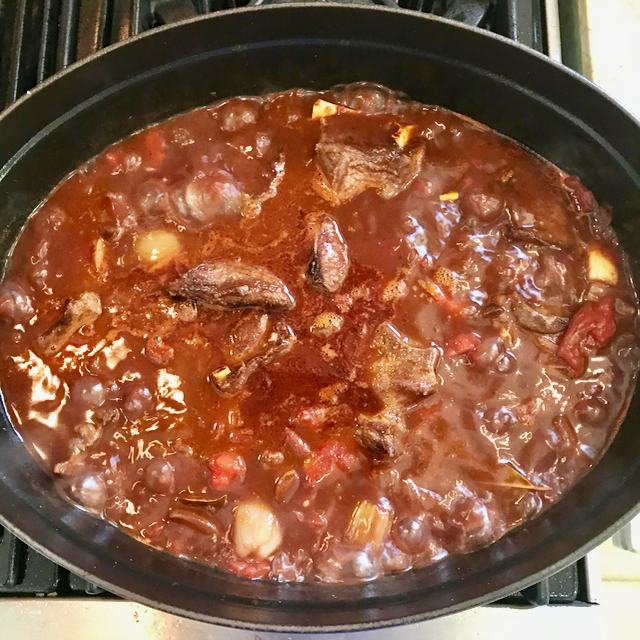 Add 3 cups or so of chopped canned plum tomatoes, say 2 cups of good beef stock and bring this to a simmer. Cover the pot, and place it in a pre-heated 325-335F oven for say 2 hours or more until goat is almost fork tender. At the two-hour point, add in cubed potatoes, carrots, red bell pepper and 1-2 siling labuyo or bird’s eye chilies. Also add in some liver paste (either freshly made or canned) as a thickener. Put this back in the oven (uncovered if too watery) covered if it is about the right consistency (I like it quite stewy). Cook another half hour or so and check the potatoes and seasoning and make last adjustments. Garnish with some Italian parsley if you have it, and serv with some nice crusty bread with butter or with steamed rice, like I prefer to enjoy this dish. Enjoy! I have made and posted this before, though a variation of this one, here. 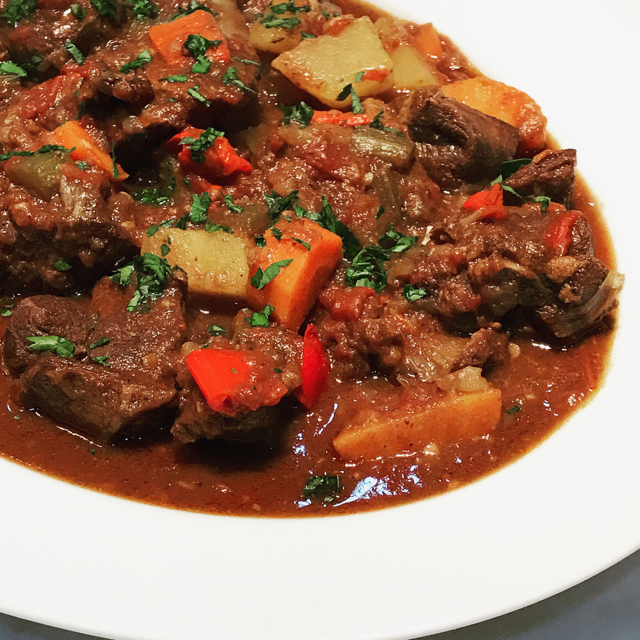 I also have a kalderetang baka recipe (albeit needing improvements) in the archives, here. Yum. I’ll take this over the trad leg of lamb and white beans for Easter. Not fond of goat but your version looks yummy! I changed email ad.I hope my email to you did not go to the spam basket? 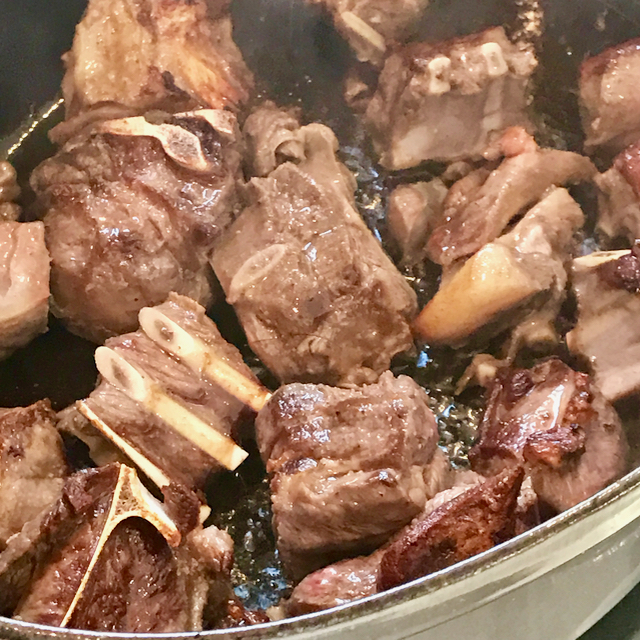 I occasionally do exactly as above with lamb shanks and find it immensely flavourful once I get through the initial lanolinic whiff which I find a mild turn-off. Surprisingly I don’t get similar reaction with kid and goat mutton. I even seek out the faint barnyard flavour of chèvre. Go figure. 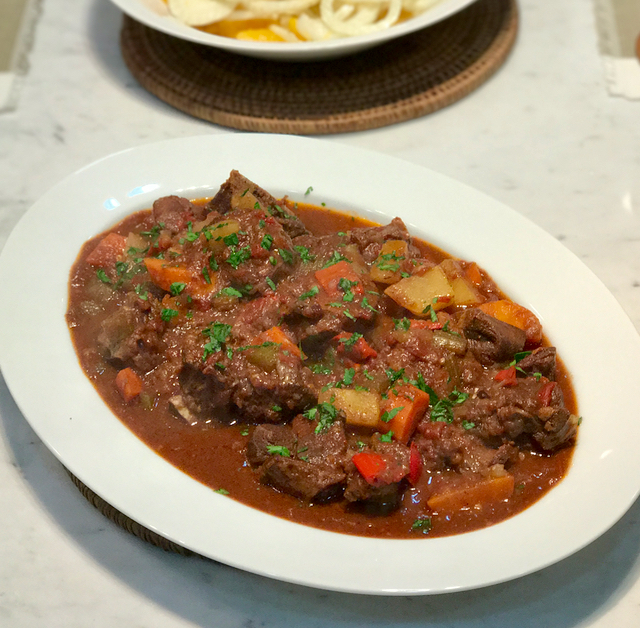 That looks delish, another hit with Kaldereta. Looks yummy. I wonder if it would turn out as good using a crockpot. You mentioned siling labuyo in your recipe. Care to share info on local markets in Metro Manila (preferably Muntinlupa City area) where there is labuyo for sale. I ask because most of the ‘hot chili’ in the market are actually Taiwanese(?) varieties not the small yet oh so hot labuyo peppers of yesteryear.